Buddhist Tour of North East, as the name says, this 14 days and 13 nights tour will take you to the major Buddhist temples in North-East India. 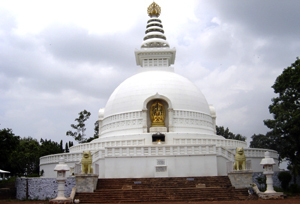 Starting from Delhi, this tour covers Sarnath (the place where Gautam Budha first taught the Dharma), Nalanda ( primary institutions of higher learning in ancient India), Vulture Peak (favorite retreat center of Buddha) and Saptparni caves (one of the places where first Buddhist council was held). 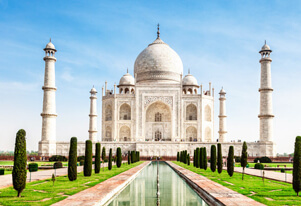 Along with the significant Buddhism sites, this tour will also take you to the monasteries of Gangtok, Darjeeling, and Kalimpong, and a sightseeing tour to Agra and Delhi. To be very clear and concise, this tour package will take you to all the places in India that has witnessed Buddhism history and legacy. Upon arrival in Delhi, meet our representatives who will further transfer you to a hotel. Rest of the day will be free for leisure. Overnight stay at the Delhi hotel. Early morning, after breakfast, go for a drive to Agra. Thereupon, check in the hotel and visit the Taj Mahal. One of the seven wonders of the world, Taj Mahal is one of the finest examples Indian architecture. Further, you will visit Agra Fort for a sightseeing tour. Overnight stay and dinner at the Agra hotel. Post breakfast, go back to Delhi to catch a flight to Varanasi. When in Varanasi, check in the hotel and then visit Sarnath. Located near the confluence of Gomti and Ganga, Sarnath is the where Buddha delivered his first sermon. 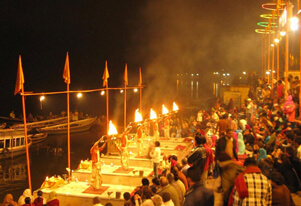 In the evening, you will visit one of the Varanasi ghats to see the famed "Ganga aarti." In the morning go for a boat ride from one of nearest ghats of Varanasi. Then you will go on a sightseeing tour to places like Vishwanath Temple, Bharat Mata Temple, and Tulsi Manas Temple. Rest of the day will be free for leisure. Dinner and overnight stay at the Varanasi hotel. After enjoying a hearty breakfast at the hotel, go for 255 km drive to Bodhgaya. When you will arrive in Bodhgaya, check-in the hotel and go for a visit to Mahabodhi Temple, a UNESCO world heritage site, the place where Gautam Buddha attained enlightenment. In the temple complex, you will also visit the Bodhi Tree, the first place where Gautam Buddha meditated. In the morning, board a flight from Patna airport for Kolkata. On arrival at Kolkata, you will be transferred to a hotel for overnight stay and dinner. After breakfast at the hotel go for a sightseeing tour to places like Victoria Memorial, St Paul's Cathedral and the Indian Museum. In the afternoon, you will board a train for Darjeeling. Dinner and overnight stay at the Darjeeling hotel. 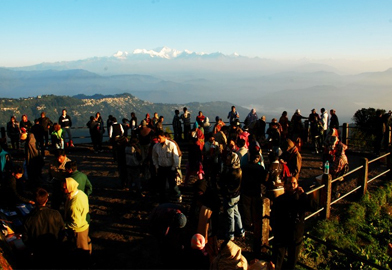 Early morning, after breakfast, drive to Tiger Hill to chase the dawn and see the sunrise over Khangchendzonga. On your way back to the hotel from the tiger hill, visit Ghoom Monastery and Batasia Loop. After breakfast at the hotel, visit Himalayan Mountaineering Institute, P.N. Zoological Park (Thursday closed), Tenzing Rock, Tibetan Refugee self-help Centre (Sunday closed), Tea Garden (outer view), Ropeway and Japanese Temple. The evening will be free for leisure. Dinner and overnight stay at the Darjeeling hotel. Post breakfast, drive to Kalimpong (4,100 ft.). On arrival check-in to your hotel. In the afternoon, visit Mangal Dham, Deolo Hills, Dr. Graham's Home, Golf Garden, Durpin Dara Hill & Flower Nurseries. Overnight stay at Kalimpong. Breakfast at the Kalimpong hotel and drive to Gangtok. On arrival at Gangtok check-in at the hotel. Post breakfast at the hotel, go for Gangtok sightseeing tour. 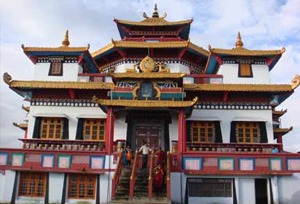 Today, you will visit Rumtek Monastery, Deer Park, Droul Chorthen, Research Institute of Tibetology, Directorate of Handicraft & Handloom and Enchey Monastery. Afternoon and evening will be free for leisure. Dinner and overnight stay at the Gangtok hotel. Post breakfast at the hotel, embark on a drive to Bagdogra to board a flight for the destination onwards.